Officially, yes! But you may not have missed it. To be clear, Oktoberfest is over in Germany, not due to the time difference, but rather the tradition of the world’s largest Volkfest, which is held in Munich, Bavaria, Germany, from mid-September to the first weekend in October; so it’s mostly a ‘Septemberfest’. 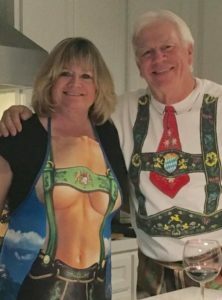 We Americans, believing that Oktoberfests should be in October, have prolong the beer drinking and chicken dancing until our brains are numb enough to face Halloween. In a blog last Christmas season I mentioned the world’s oldest brewery, Wiehenstephan, also in Bavaria, Germany, which started brewing in 1040 (I think of it every tax season), but today I’m not interested in the oldest beer, I’m interested in the BEST German beer. So I Googled ‘Best German Beer’ and what do you know, Weihenstephan Hefe came up. Note to seniors – you CAN be the oldest and still be the best! Belgium did not surprise me as the country with the best beer, however the U.S. as #2 was a shocker, as well as the absence of Japan and Mexico among the leaders. The ranking made me wonder if the judges may have had too much to drink by the time they were selecting the Top 5. On a side note, Ireland disappointedly was ranked #13 – they may not be the best, but I’m guessing they rank near the top of the most beer consumed. Unsatisfied with the results I found, I decided to run my own, unscientific, tests using some of the local neighborhood reprobates as judges. I just had them blindly taste beers from the Top 5 countries, plus I snuck in one from Japan and one from Mexico. 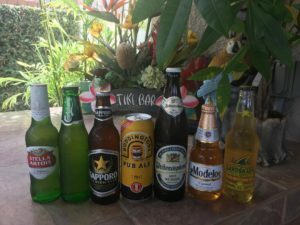 Country and beers were as follows: Belgium-Stella Artois, Denmark-Carlsberg,,Japan-Sapporo, United Kingdom-Boddingtons, Germany-Wiehenstephan, Mexico-Modelo, United States-Landshark. I wanted to first see if our judges, such as they are, could put the beer with the right country, plus I wanted to know their favorite. 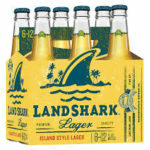 Of the 10 judges, five got 5 of the 7 beers matched to the correct countries, and the overall favorite: (drumroll) Landshark! Oregon actually has a craft beer trail called ‘Beer 101 Trail’, not because it’s for beginners, but rather it follows Highway 101 up the Oregon coast; sounds like a road trip to me! My search for the best tasting (someone had to do it! ), actually helped me understand why America is considered by the world as a country with great beer – it just comes in small quantities from those small craft breweries. Judged by beer enthusiasts, as the best in all of the U.S. this year was a beer from Comstock, Michigan called Bell’s Two Hearted Ale, an IPA with a 7% alcohol by volume. Running a close 2nd was a beer from the Russian River Brewing Company in northern California, called Pliny the Elder, a double IPA beer with an 8% alcohol content. 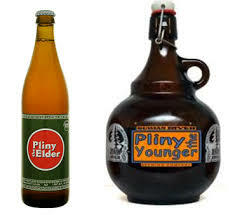 Pliny the Younger, with a 10.8% alcohol content, is rumored to be a contender in years to come. So you may have missed Oktoberfest, but now that you know beer from borscht, you are ready for Novemberfest, which should help numb you for the coming Holidaze.